Phone protection is vital in today’s day and age. With phones flooded by relentless calls, countless family time is lost. 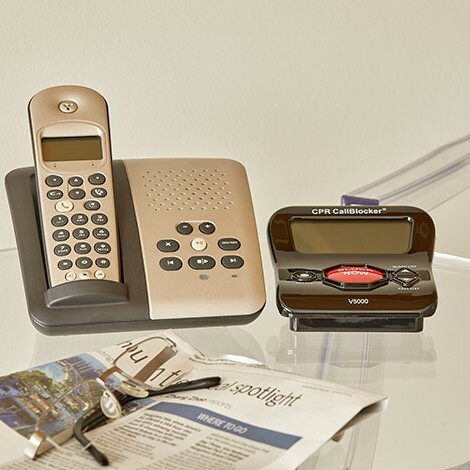 In our continuing campaign against unwanted calls the V5000 is the top of the range blocking device. 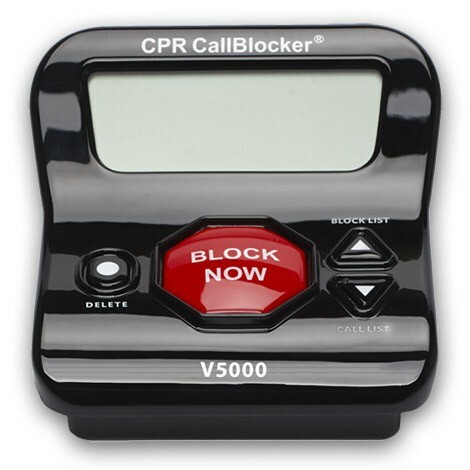 CPR Call Blocker V5000 is pre-programmed with 5,000 numbers deemed as known nuisance callers. Companies which are selling by phone, using overseas call centres and automated sales lists are all pre-programmed which will minimise the sales calls you receive almost immediately. Not who you expected? 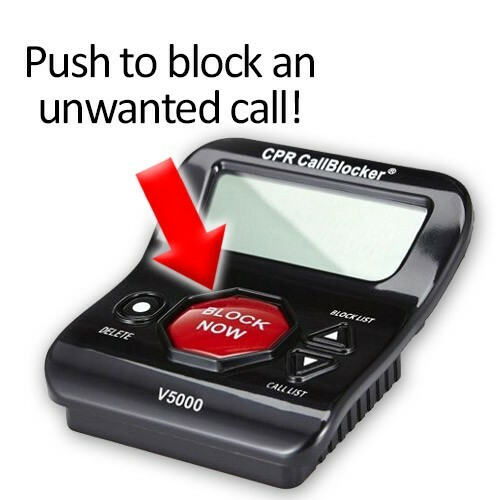 Press the Block Now button and the Call Blocker will add the number into the unit’s memory, the call will hang up and the number is blocked permanently. This feature allows you to block up to 1500 unwanted callers. The V5000 has the advantage of a 3" screen to show the last 20 callers that can, if required, individually be added to the block list. You can also review the whole block list. If you accidentally blocked a number you can easily delete it from the list. Got any questions? 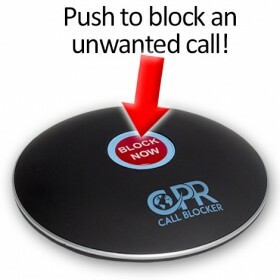 Please visit our friends at CPR Call Blocker at the link just above to read further information about this product. They have the full instruction manual available to download, FAQs, setup video, a support forum, and free technical support. Spread the cost over 3 interest-free payments! 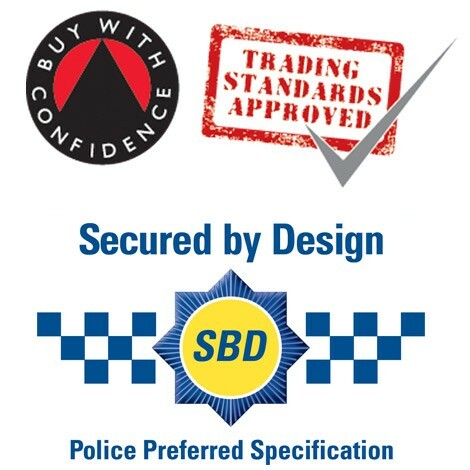 To qualify for this you must call CPR Call Blocker's order line on 0800 040 8010. Don't forget to give them our special discount code otherwise you will pay full price.